Atlas Line Webinar Tomorrow – Don’t Miss! Atlas Line Webinar Tomorrow – Don’t Miss! 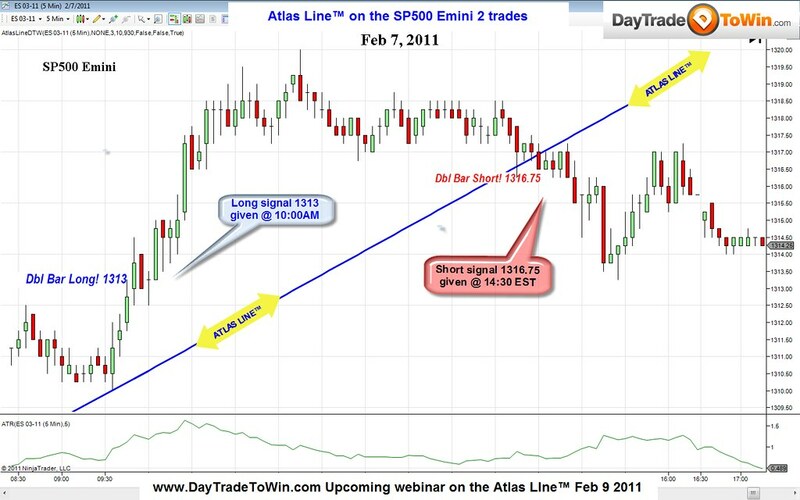 Not only is the Atlas Line an excellent standalone system, it can filter trades and catch trends as they start. Knowing where price is headed is key to filtering out bad trades. Want to see how this is done live? 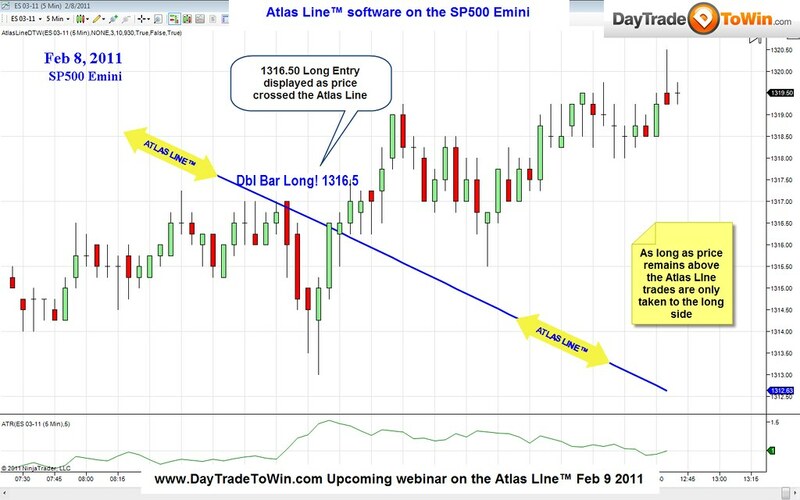 Want to put the Atlas Line to the test on your preferred market? You’re invited to tomorrow’s webinar, February 9, 2011 at 10:00 a.m. EST. YOU’RE TOO LATE – Please visit the home page at www.daytradetowin.com to register and be notified of future webinar events. Today was another great day using the Atlas Line™ – and the day isn’t even over yet! 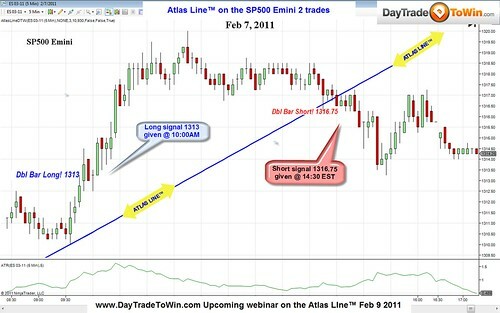 Yesterday was an even better day for the Atlas Line ™ because the Long and Short trades were both winners.